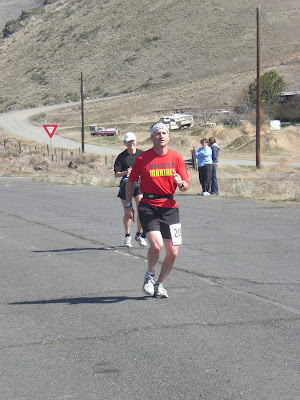 Brandon ran the Yakima Marathon on Saturday and finished almost an hour faster than he did last year. Way to go babe. Thanks to my parents, we had 24 hours all to ourselves, and that was so nice. Thanks Mom and Dad! Conference was so very good and Elder Ballard's talk was exactly what I needed to hear. Validation, appreciation, and advice. It was my favorite talk of the weekend. I also really enjoyed Sister Tanner's talk, and Elder Holland's talk. President Monson was amazing. So grateful for the opportunity to listen to General Conference. When we arrived home from Yakima, there was a package waiting for me. It was the Spring Swap package and it was so much fun to open. Lots of fun springy things. Delicious dinner with family, celebrating the late March and April birthdays. Speaking of birthdays, don't forget to stop over at Lovely Lindsay's and wish her a very happy birthday!